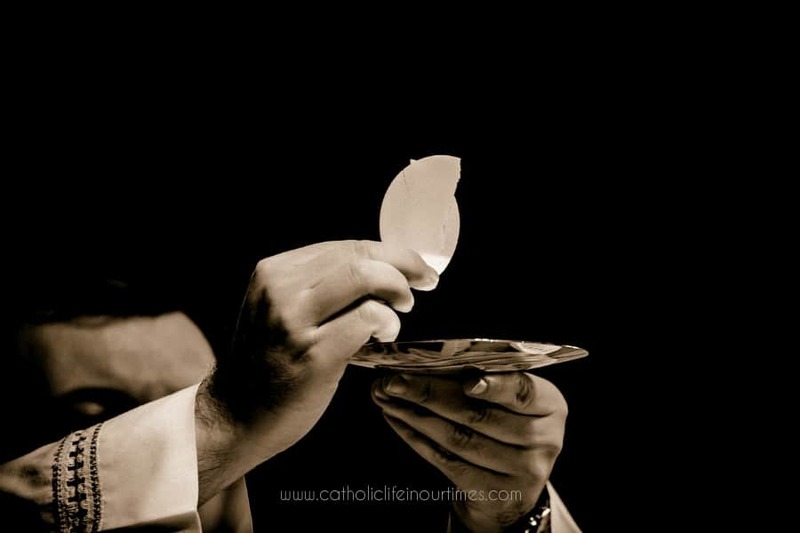 Communion Ministers, a term commonly ascribed to those who participate in the Liturgy of the Eucharist by assisting the priest in the distribution of Holy Communion, is a misnomer. This may explain many misconceptions concerning the purpose for their role and their extensive use. The proper title, though largely ignored, is Extraordinary Minister of Holy Communion. Correcting the misused label enables better catechesis for the misled. The obvious component is the term Holy Communion, which signifies the portion of the Holy Sacrifice of the Mass to which it pertains. The more representative term, Extraordinary Minister, in its currently disused state explains the misconception. As a verb, the word ‘minister’ is universally used to describe the action of someone who provides comfort and assistance to another. However, modern days find the word ‘minister’, when used as a noun, with a changed focus. Consequently, it is no longer used as a term reserved for a cleric. Whether priest or preacher, minister as it is now used, describes many diverse positions. This evolution of language has altered and diluted the original, and much more appropriate, definition. Therefore, calling anyone a minister certainly contributes to the rampant misunderstanding concerning the use of those who are not Ordinary Ministers within the context of Catholic worship. In the Spirit of Vatican II, the title ‘minister’ found its way into many job descriptions. Music Minister, instead of Choir Director, is one example, as well as Youth Ministers and varied other titles containing the word. Ordinary Minister is the title given to the presbyter, an ordained priest, who has undergone stringent discernment of a vocation and formation. His role is set aside from the properly called for role of the laity. His hands are consecrated and he comes to us in persona Christi – another Christ – when he ministers to us. According to the General Instruction of the Roman Missal (GIRM) and Redemptionis Sacramentum, the practice of Extraordinary Ministers of Holy Communion (EMHCs) is intended to be just that – extraordinary. Reading the GIRM makes this clear. In fact, there is no provision in Church documents to support the scheduling of EMHCs. The position is one created for the people of God when there is a clear need, not as a common weekly or even daily occurrence. The use of EMHCs is prescribed when extraordinary circumstances exist. Extraordinary pertains to unusual events, such as huge crowds or lack of sufficient Ordinary Ministers. GIRM 162. The priest may be assisted in the distribution of Communion by other priests who happen to be present. If such priests are not present and there is a very large number of communicants, the priest may call upon extraordinary ministers to assist him, e.g., duly instituted acolytes or even other faithful who have been deputed for this purpose. In case of necessity, the priest may depute suitable faithful for this single occasion. RS 88 It is the Priest celebrant’s responsibility to minister Communion, perhaps assisted by other Priests or Deacons; and he should not resume the Mass until after the Communion of the faithful is concluded. Only when there is a necessity may extraordinary ministers assist the Priest celebrant in accordance with the norm of law. There is also no Church law stating that both species MUST be offered – since the Catechism states that He is present completely in both species – Body, Blood, Soul, and Divinity. Therefore, a pastor of a small (or even medium-sized parish) has no valid need of EMHCs. We, the people in the pew, are not in a rush. We attend Mass to worship God and to avail ourselves of the graces it brings. A few extra minutes taken, to receive from the priest, are not an extraordinary situation. If the pulse of people in the pew was taken, it might be surprising to learn how many prefer to receive from the priest. He is the ordinary minister, in persona Christi, whose vocation brings him to serve us the Body, Blood, Soul, and Divinity of Our Lord Jesus Christ. Intinction is still practiced and allowed throughout the world. The practice of intiction, however, would mean that the faithful would once again adhere to the worldwide norm of receiving on the tongue – rather than the indult currently active in the United States, of receiving in their hands. In conclusion, we see that there are tangible corrections available to our practice in Sacred Liturgy. Preventing or eliminating the widespread profanation of the Eucharist in the world today, we must seek a return to holy reverence. This begins with actions that demonstrate a faithful belief in the True Presence. Eradicating the blurring of lines between Priest and Deacon (ordinary ministers), and laypersons, offers a faithful solution. What a wonderful return to reverence and universality that would be!